I used to find that whenever I cooked boneless skinless chicken breasts they always turned out dry. Playing around with a few ideas, I discovered when I marinated the chicken in a creamy Caesar dressing then breaded and baked them, they turned out perfect. Crunchy on the outside, moist and delicious on the inside. A lot of us love a good chicken Caesar salad so why not. Caesar dressing has all the ingredients you need for a great marinade. This is my Caesar Marinated Breaded Chicken With Roasted Campari Tomatoes. In a large mixing bowl add the Caesar dressing and chopped chives, whisk to combine. Add the boneless-skinless chicken breast to the marinade and refrigerate for 1 hour. In a large mixing bowl add the Panko breadcrumbs and fresh chopped Italian parsley, mix to combine. Line two rimmed baking sheet pans with foil, place the racks inside the sheet pans. Dredge the marinated chicken breasts, one at a time, into the Panko and parsley mixture coating both sides, then place them onto the sheet pan. Repeat this process until all the chicken breasts are breaded. Transfer to the refrigerator and allow to set up for 1 hour. Bake the chicken for 40 minutes or until the internal temperature reaches 165- degrees F. Remove from the oven and cover both sheet pans with foil. 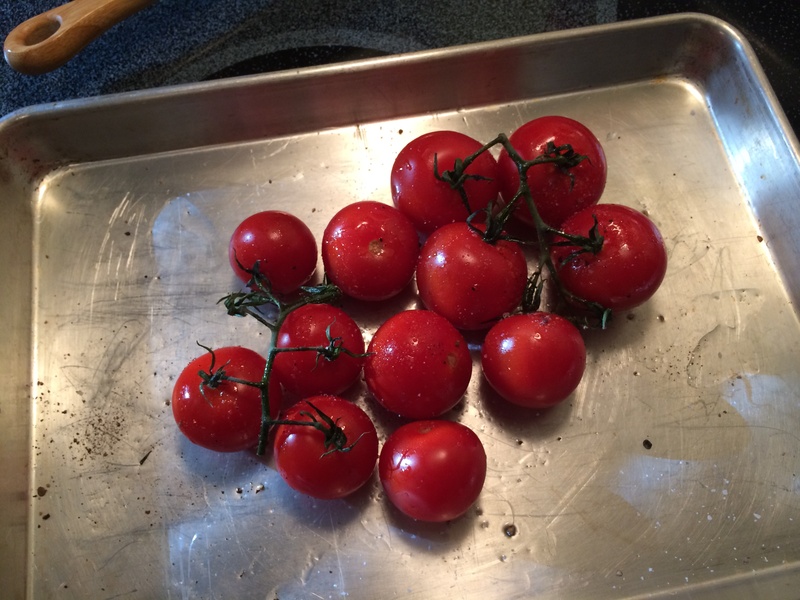 Adjust oven temperature to 375-degrees F.
Place the Campari tomatoes on a baking sheet pan. Add the olive oil, Kosher salt, and fresh ground black pepper, toss to coat the tomatoes. Place the tomatoes into the oven and cook for 20 minutes just until their skins start to burst. Transfer the tomatoes to a large serving platter. 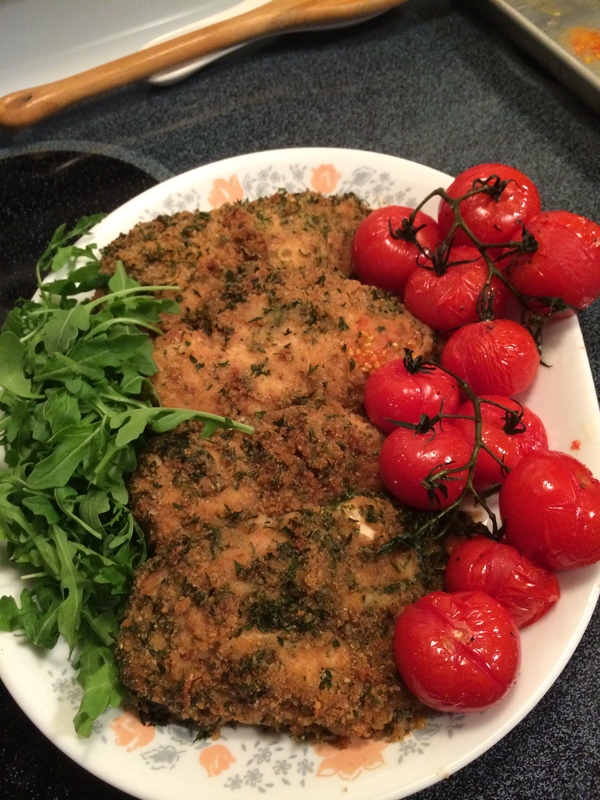 Serve Family Style: Place the Caesar Marinated Breaded Chicken With Roasted Campari Tomatoes onto a large platter along with fresh baby arugula.